Luke Ryerkerk is Ryonet's direct to garment expert. He helps his wife Elizabeth with Trendy Cactus, her on-demand Etsy-based brand focused on baby clothes and baby shower gifts. Luke hails from Waco, TX, but is also involved with his family's print shop in Knoxville, TN. He's recently worked on a video series about converting a 2-car garage into a serious custom print shop for Ryonet. Bruce sat down with Luke for an hour long discussion about direct to garment printing. Luke was candid about the state of DTG printing: it's not for everyone or every shop. But for the right business model and the right customer base, it's an easy win. When should you lease or buy a DTG printer? "When I talk to people about getting into DTG, I ask just as many questions about their business and what they're going to use it for as they ask me about the printer – if not more. My key thing is to make sure this printer fits in your shop. If it does, that's great! If it doesn't, that's great too. I'm going to recommend something else. If I can help you succeed, then we're going to do a lot of business together." There's no single magic number or metric that will tell you when it's right to buy or lease your first DTG printer. But there are some strong signals that indicate your business is ideal for DTG printing. You print a lot of complex artwork. Your shop spends a lot of time setting up screens for jobs that you don't spend very long printing. You're shooting for quick turnaround with the option for photorealistic prints. A lot of your business is from jobs with less than 24 pieces. You take few orders for hundreds of pieces, and are typically tasked with printing low-quantity jobs. Your customer base is right. Your target customers don't need high-quantity production runs, prefer detailed art, or are ordering custom designs from your online store. Your business model makes sense for DTG. You're focused on a high volume of low-quantity jobs. Setup times for screen printing are becoming a bottleneck. Because of the complexity of art you're printing, or the volume of small jobs you're taking on, an overwhelming amount of time is spent separating, burning, and reclaiming your screens. You're focused on selling unique designs that need fast turnaround. Your designs are topical, based on memes, highly personalized, or focused on seasonality. Your business model is based on getting a customer's attention and capturing the impulse to buy a shirt – not the HR rep for a large corporation, or the marketing director for a prominent brand. You're working out of a spare bedroom and don't want ink all over the place. 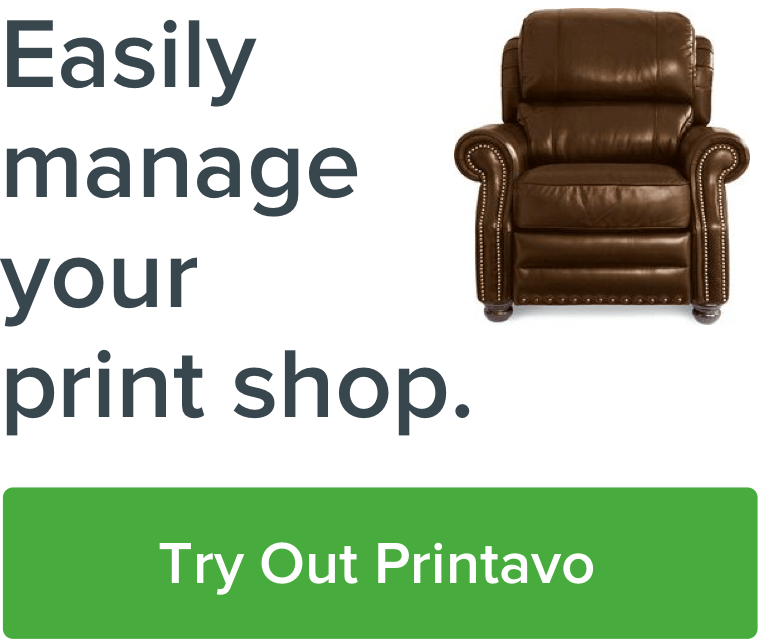 Think about where and who your printing is for. If you're an existing shop, DTG might bolster your existing business and allow you to take jobs you'd normally turn away. If you're looking for a way to print in a small space and prefer a tidy working environment, DTG can be a viable option. The price for entry into DTG is high – so consider your business carefully. Luke doesn't recommend starting your business with an expensive DTG machine and then reverse-engineering a business plan that fits your new printer. Instead, use DTG as another avenue for serving your customers. When should you AVOID going to DTG? You want to replace screen printing entirely with DTG. Buying one desktop DTG printer will not replace screen printing in the average established print shop. It will augment your existing production capabilities – not replace it. Your only print high-volume (>100 pieces) jobs. DTG doesn't fit well with shops that typically print more than 100 garments with each job. You print on a lot of polyester and synthetic fabrics meant for athletics. The technology is not there yet. If this is a large component of your business, DTG is probably a bad fit. What is the best direct to garment printer? Brother. A leader in the industry. Known for durable print heads and long-lasting printers. Epson. A household name in screen printing, Epson has developed a line of DTG printers that are on the bleeding edge of the industry. PolyPrint. A newer player in the industry, this Greek company is aggressively expanding their offerings and has partnered with Ryonet for distribution in North America. Current favorite DTG printer: Luke is a big fan of the PolyPrint TexJet Echo2 DTG Printer. Available for $15,999 new from Ryonet, this is Luke's preferred printer at the moment. PolyPrint worked with CADlink to have a custom RIP software developed for this unit – which adds functionality to your workflow and quality to your prints. Luke mentions how RIP software changed the quality, speed, and ability of his DTG printers to execute jobs in a timely and accurate fashion. "A lot of direct to garment printers come with a RIP software that's built for that printer. Look into that RIP a little bit more. We switched to the DigitalFactory RIP software from CadLink. It's not 'cheap,' but its value is high. It controls the printer more, and really allows you a lot more options to dial your printing." Here's an example of why this is so valuable: Elizabeth Ryerkerk's company Trendy Cactus prints on a huge variety of garment sizes – from infant to youth large – and offers hundreds of unique designs on her successful Etsy shop. That requires a lot of flexibility on execution, and the key to success on Etsy is turnaround time. So keeping setup time to a minimum – and maximizing print time – means leveraging RIP software to streamline the entire process. Elizabeth set up different sized art queues in her RIP program to achieve fast turnaround. She moves the art into the right sized print queue, loads the garments (and pretreats them if necessary), then starts printing. Because of her ability to rapidly execute orders and immediately move to printing and shipping, DTG enables Elizabeth's entire business model. A really great RIP software makes this all seamlessly possible. Luke's shop got really good at simulated process screen printing. People really liked the high-color, high-detail screen prints – but they only wanted a couple dozen garments at most. It quickly became apparent that the small quantity jobs were the bulk of their business, so they chose to pursue direct to garment printing about a decade ago. However, Luke is totally open about the realities of direct to garment printing. It is not a be-all-end-all way to print custom t-shirts – but it absolutely is another tool for serving customers. There's a lot to love about direct to garment printing. It's an emergent technology, but Luke notes that it has developed rapidly over the past decade. Low quantity jobs with complex art are much easier to execute. Time spent on setup is much lower than screen printing. Rapid fulfillment with little setup time is possible for one-off jobs. But we have to be honest and realistic about direct to garment printing. It's not for every purpose, and it's not going to totally replace screen printing in the near future. The cost of entry is higher than screen printing (more about this below). Time spent printing is longer than screen printing. Pretreatment is required for printing on dark garments. Time constraints mean DTG isn't for high volume jobs. Poor resale and used printer market compared to screen printing. DTG is not for polyester and similar athletic fabrics (yet). However – it's easy to exaggerate the gulf between DTG and screen printing. In the right environment, they're strongly complimentary. ROQ, M&R, and a multitude of other manufacturers are competing to create the ideal hybrid press. Their biggest customers – high volume shops that are pivoting to rapid fulfillment services for every customer – are demanding it. These machines leverage screen printed underbasing and super-fast DTG printing to fulfill the evolving needs that print shops face. The ROQHybrid is just one example of this blending of digital and traditional printing methods. What's the best workflow for direct to garment printing? DTG garments can be cured with a traditional gas or electric conveyor dryer. Luke uses the Vastex LittleRed X3D in his garage shop in Waco. A DTG "pod" is focused around the in-feed for a conveyor dryer. Since DTG printing takes longer on the printer compared to screen printing, this workflow ensures that multiple prints occur simultaneously. Each additional DTG printer adds additional production capacity and efficiency. This workflow is ideal for online stores that offer quick turnaround on small orders. This is a key difference between DTG and screen printing: very little time is spent for setup, and the majority of the time is spent actually printing. What orders work best for direct to garment printers? Perhaps we're beating a dead horse, but not every custom printing order is ideal for DTG. We took a sample pricing matrix for screen printing and plotted it against a sample matrix for DTG printing. Low quantity jobs are feasible at an affordable rate. Here's what to notice: screen printing is simply not profitable on small orders. The time spent separating, burning, setting up, and reclaiming screens is factored in to the price (and must be paid for somewhere). For DTG printing, the "sweet spot," where it competes with screen printing, is anything below approximately 18 pieces. But this sweet spot will vary from shop to shop depending on their market and overhead. As the quantity rises, the time to print increases. There's a very real trade-off visible here: DTG nicely facilitates jobs that have fewer pieces. Once you start printing hundreds of garments at once, DTG loses its advantage. There's no perfect printing method. Instead, look for the best way to serve the needs of your specific customer base. As you add colors and complexity, the setup costs for screen printing become prohibitively expensive for small orders. How much does a direct to garment printer cost? Yes, it's true. The price of entry for DTG printing is high if you're just starting out with printing your own apparel. That's why Luke recommends starting out with screen printing, developing your business, and deciding whether DTG is right for your business model once you're established. Luke leased his first DTG printer for about $800 a month. He estimates that the printer paid for itself within a year of purchase. There's not a simple, high-level indicator of whether you should purchase a DTG machine. Instead, go back to whether it makes sense for your business model. An Uninterrupted Power Supply (UPS) to avoid damaging your printer due to poor electrical supply. It protects your investment in your DTG printer, so don't skip it. These can range from anywhere between $50 for a bare-bones Amazon Basics model to thousands of dollars for the highest-end power supplies. Pre-treatment machine. If you plan to print on dark garments, you'll have to pre-treat. A pre-treat machine will apply pre-treat solution in the most economical and consistent way. These cost between $2,000 to $5,000 (and up). Pre-treatment solution. Not a trivial cost, pre-treat solution is expensive (but long-lasting). For the Polyprint, there are a couple of options depending on the garment you're printing, and how you are curing the design. They run about $25 per liter. Heat press or conveyor dryer. You can use a traditional gas or electric conveyor dryer to cure your ink – or use a heat press. Luke suggests purchasing a heat press that will last you for years instead of an inexpensive model. He's a fan of Stahl's heat presses. Heat presses start around $1,000 for a bare-bones model. RIP software. Depending on the DTG printer you purchase, you may need to upgrade your RIP software. This is extremely valuable (and is how to really improve your workflow and print quality), but it's additional $1,000 or more. Time to dial in your process and fight the learning curve. DTG seems simpler than screen printing (you just plug in the printer and go, right?) – but there is still a real learning curve with dialing in DTG prints. Expect to learn and grow, rather than purchase a new machine and be an overnight expert. Luke estimates that $20,000 is a good target for building a good DTG printing setup. A setup like this would include a Polyprint Texjet Echo2, Hotronix Fusion Heat Press, and a Lawson Zippy Deluxe Pretreatment Machine. It's worth noting that there's robust financing available to help you with this purchase, as well. Should you buy a used DTG printer? Luke advises against purchasing used DTG printers. While used screen printing machines enjoy a lucrative market, the rigorous maintenance routine and relative complexity of DTG printers means the market is unfavorable. "Can you buy a used DTG printer? Sure. Do I recommend it? 99% of the time, I do not. I would only recommend it if it were from a dealer or a manufacturer offering refurbished items. Ask about the warranty. Is it still valid? Can it actually be transferred to you? Find out when the print head was replaced, and how much it will cost to replace it." DTG print heads last anywhere from 1 to 3 years. Luke has DTG print heads on his Brother machine that have lasted for 5 years. But he lays out the scenario where you buy (or sell) a DTG printer that's been well maintained – but as soon as you buy it, a glut of maintenance issues pop up. You're out of warranty, and have to pay steep maintenance costs. How do you know who's to blame for the failure? Buy your DTG with the long term in mind. Skimping on cost up front will likely force you to pay more for a worse printer over the long haul. Heat transfers are a super low-cost and low-effort way to get started with custom apparel printing. They can be an awesome solution for printing small quantity jobs! Luke recommends screen printed transfers over anything else – and is still a huge fan of heat transfers. It's hard to scale. It's great to print a dozen heat transfers. But 2,000 heat transfers? That's a logistics nightmare. Designs have to be exactly the right size. It's hard to do heat transfers on a large variety of different garment sizes (that's why DTG was the optimal solution for TrendyCactus). Washability may be subpar. You may have to troubleshoot various heat transfers for durable shirts. Turnaround relies on another company. If you're promising rapid turnaround times, you may disappoint customers – and there's nothing you can do about another company's errors. Mistakes can be costly. If you pay for dozens of heat transfers that aren't correct, you may not be able to get a refund. If you've outgrown heat transfers and have a solid business built on low-quantity custom orders, consider researching and asking about DTG printers. Should you use DTG printing for online stores? Printaura's pitch for their DTG fulfillment services. In the long term, it's apparent that DTG enables an entirely new arena of custom printing: online fulfillment and merchandising. DTG can become a valuable tool in your toolbox to fulfill your customers' needs. Shooting designs on Instagram and seeing what customers bite? Have a library of designs targeted at a specific audience? Need colorful, complex art – for one or two pieces – delivered quickly? Do fulfillment for brands that offer on-demand merchandise to customers? If this sounds like your business model, DTG is an ideal way to execute orders for low-quantity online stores. "The goal is as frictionless of a sales cycle as possible. I want to tell someone very quickly what it's going to cost, when it's going to get to them, and woo them really fast. Sales are about emotion. If they're excited, and I can give them a good price, and give them a good turnaround, and get them to say yes in the first couple of phone calls – that's amazing as a printer. Don't lower the prices. Simplify them." DTG definitely enables some unique business models. Luke suggests thinking over longer time spans than you would with screen printing. You can keep an online store open and profitable over months and months, simply fulfilling orders as they come in, instead of relying on minimum order sizes. The list goes on and on. DTG and instantaneous fulfillment go hand-in-hand for the large number of customers that want very limited print runs with complex artwork. This model – online sales with a print shop handling printing and fulfillment – will almost certainly continue to grow given how customer expectations are shifting toward on-demand, customized, frictionless, and fast experiences. Business models are changing. Online stores and merchandising for small brands is becoming normal. YouTubers, fashion brands, bands, sports teams, and a plethora of other businesses are all expecting printers to fulfill small orders on-demand with very little turnaround time. Accessing this market is challenging, and requires some adopting new technology to cope with the demands. DTG tech is a priority investment for manufacturers. As you may have seen at trade shows, DTG technology is everywhere. It's being combined with traditional screen printing, leveraged to pursue new business models and access new customers, and shows absolutely no signs of going away. DTG offers a unique solution. While it's true that small jobs may be a pain point in your business, the right business model can capitalize on small custom orders. Chowdaheadz, Trendy Cactus, and a glut of other small companies are leaning on online stores. They offer provocative, inspiring designs that customers immediately connect with – then add value by offering fast turnaround time. Good prints start with great garments. No matter which route you take for fulfilling your customer's needs – be it screen printing, direct to garment, or any other type of custom printing – you've got to use great garments. They're your canvas. Printavo – and Luke – highly recommend Allmade Apparel. It's an ethically sourced, high-quality brand specifically made for garment decorators. DTG has a learning curve – just like screen printing. DTG is not plug-and-play. You will need to spend time and money learning about garment selection, the details of pretreatment, and your workflow. You didn't know how to do a perfect print when you started screen printing, either. So prepare for that learning curve. Ryonet is one of the most reliable and valuable partners for any custom apparel business to rely on. They're responsible for getting thousands of print shops up and running, and are known across the world for their 1st class support and assistance. Their candid, truthful, and insightful videos are some of the most popular on YouTube for screen printers. We've partnered with Ryonet for a long time at trade shows and for our annual PrintHustlers Conference. Huge thanks to Luke Ryerkerk for taking the time to share his knowledge about DTG printing with us! Questions? Comments? Love DTG? Hate DTG? Did we get something wrong? We're all ears. Sound off below! Next Post: Rick Roth Printed Millions of Custom T-shirts. You Want to Hear What He Has to Say.